The PoE devices can be easily deployed by businesses or offices for energy efficiency, as well as space and cost savings. The switches can also help offices with a dense number of devices in close proximity achieve power and connectivity. It can include VoIP phones, IP security cameras, video-over-IP endpoints, sensors, LED lighting, secure access door locks, and other IoT devices, as well as pan-tilt-zoom HD surveillance cameras with features such as night vision and built-in motion tracking. If your business has to power more medium to high-power devices in the future, you can easily upgrade just by changing the external power supply. If you already have multiple power-hungry devices, you can go directly to the high-power version switch for the best PoE budget. 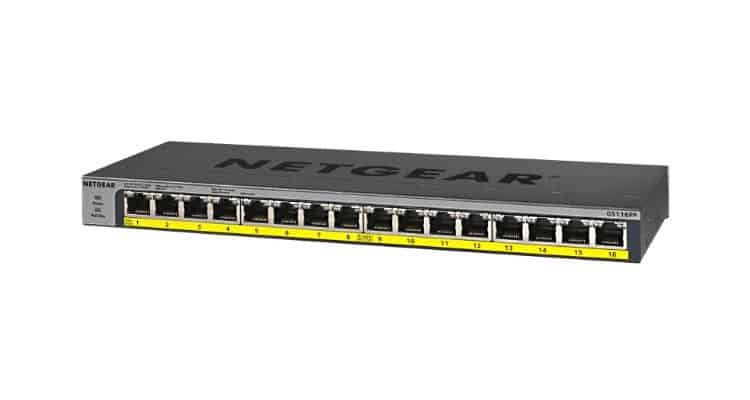 NETGEAR has designed these switches to adapt as your needs change. · Plug-and-play, automatic connectivity to your router or modem eliminates the need for an IT expert or complicated user manual. · Auto-negotiation between the switch and your end devices means they automatically connect at the highest common speed.